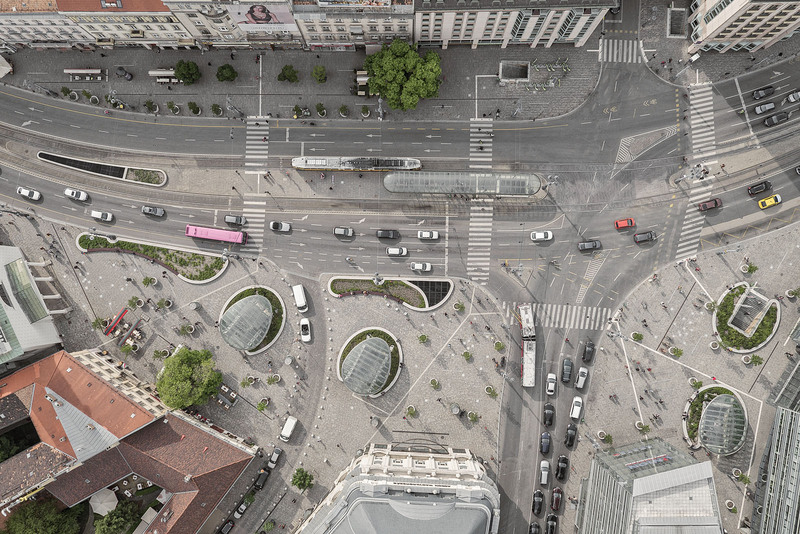 Recipient of funding: Hetedik Műterem Ltd. 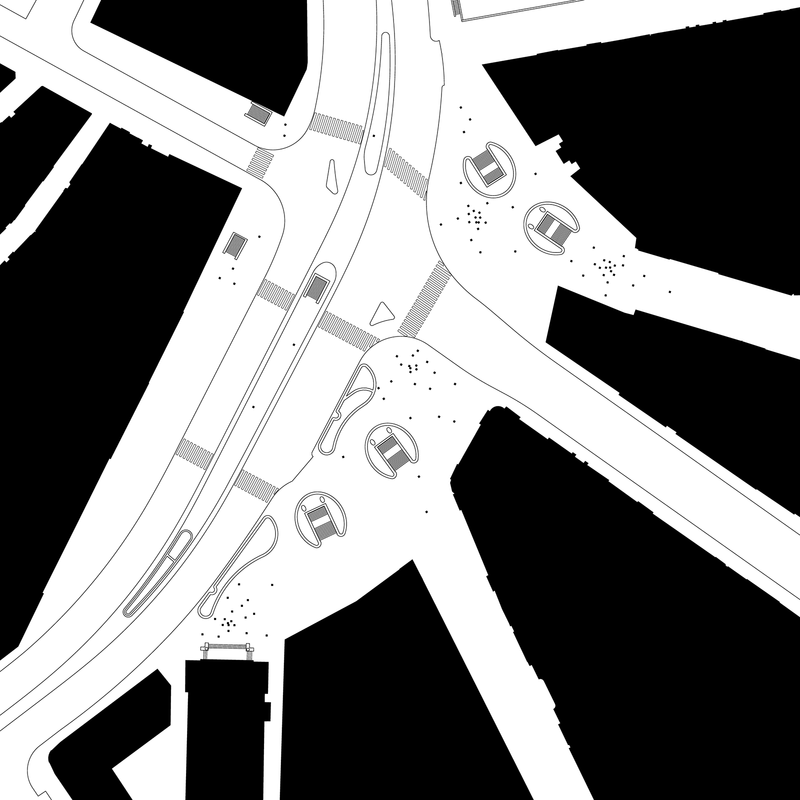 Districts: Districts V., VIII., IX. 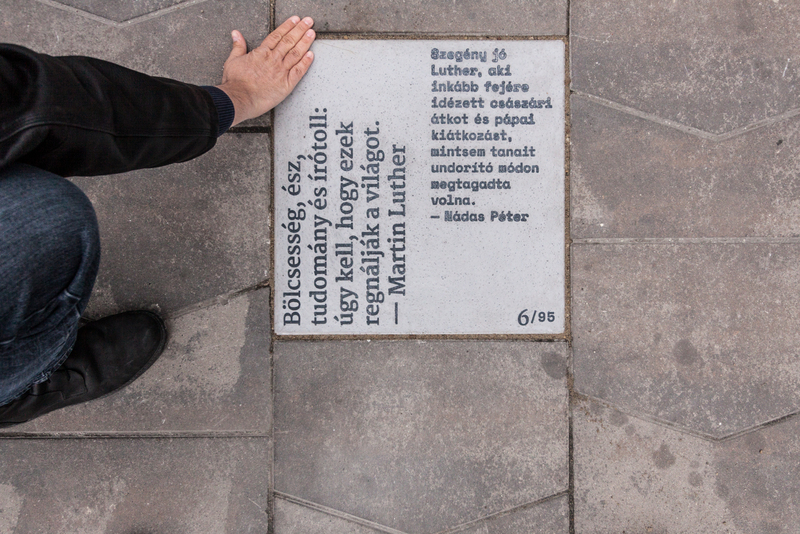 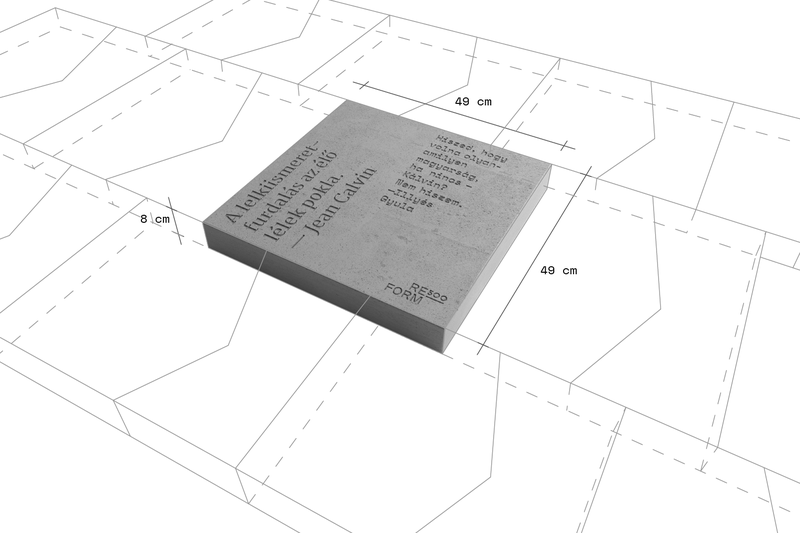 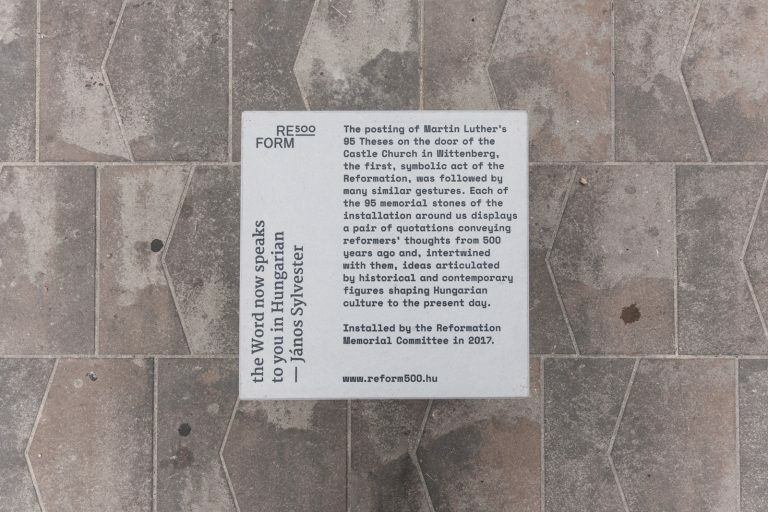 In September 2016 the Hungarian Reformation Memorial Committee decided to realize a public art installation, proposed by architect Levente Szabó and graphic designer Ákos Polgárdi, commemorating the 500th anniversary of the Reformation. 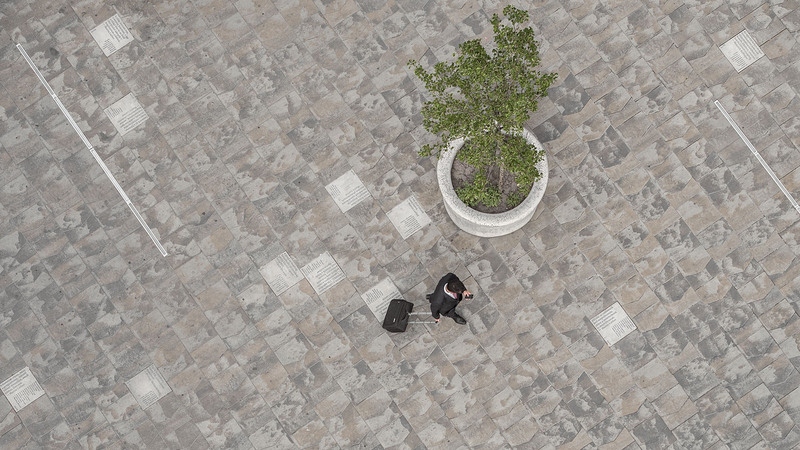 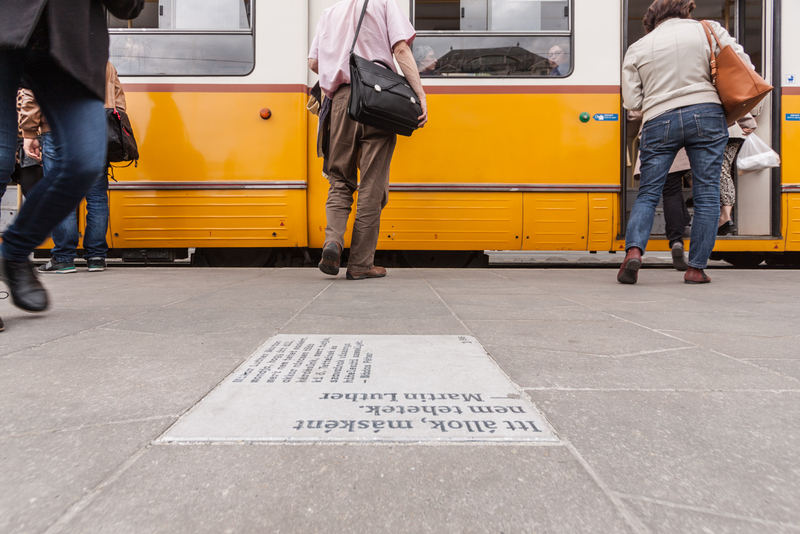 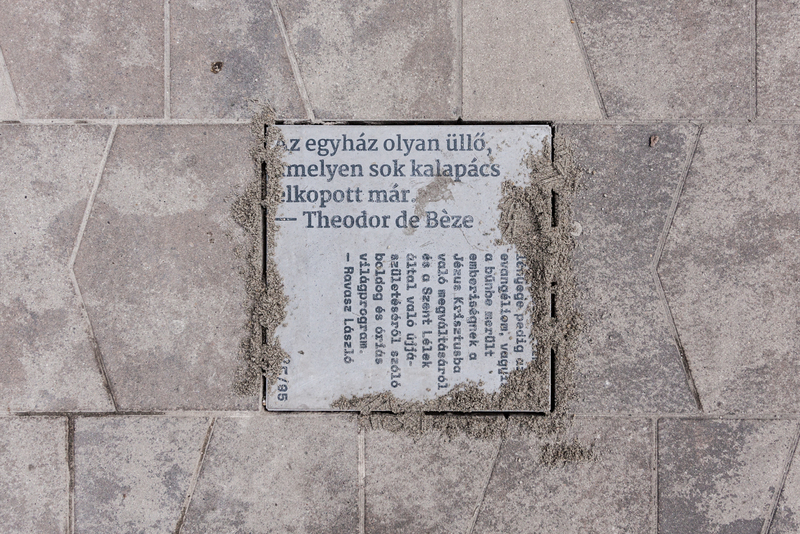 The installation entitled ‘REFORM500’ was completed in May 2017 on Kálvin square, Budapest with support from the National Cultural Fund. The greatest influence the Reformation had on the development of Hungarian culture – primarily through the translation of the New Testament by János Sylvester and the so-called ‘Károli Bible’ – was the expansion and enrichment of the Hungarian (literary) language. 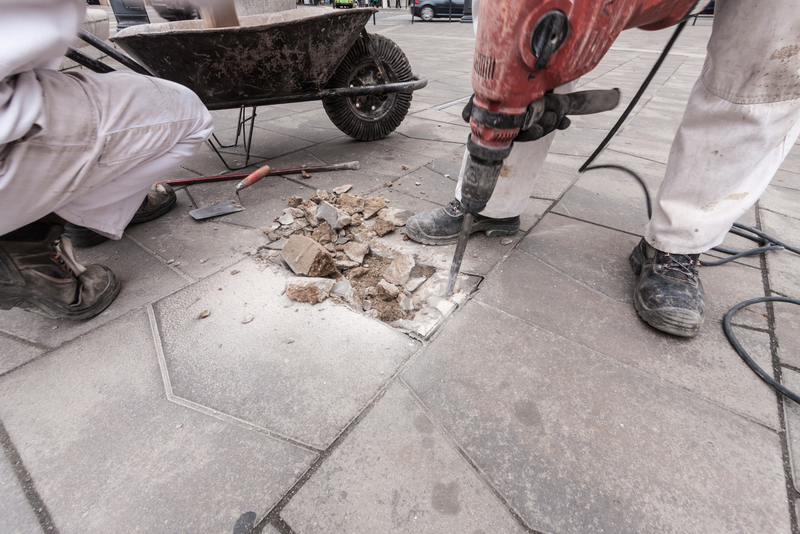 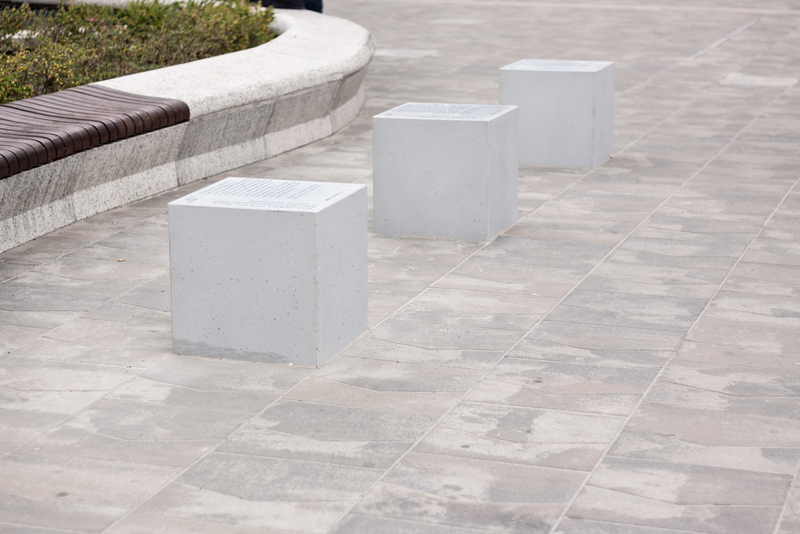 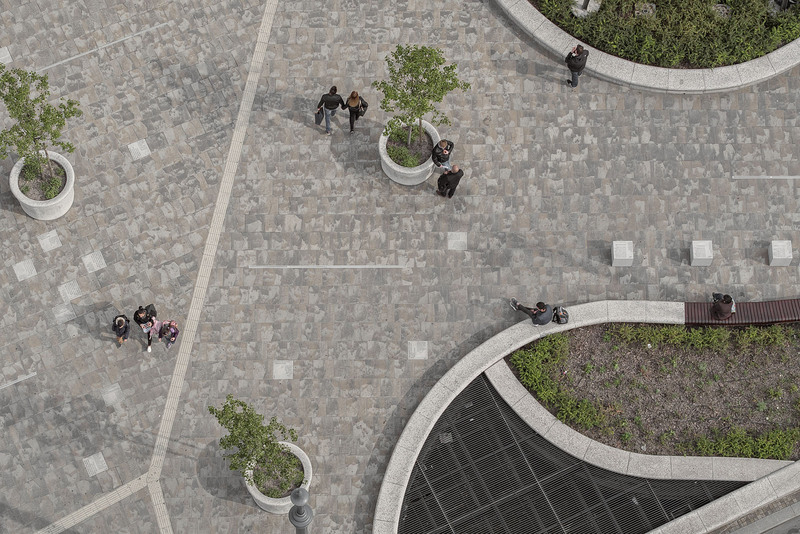 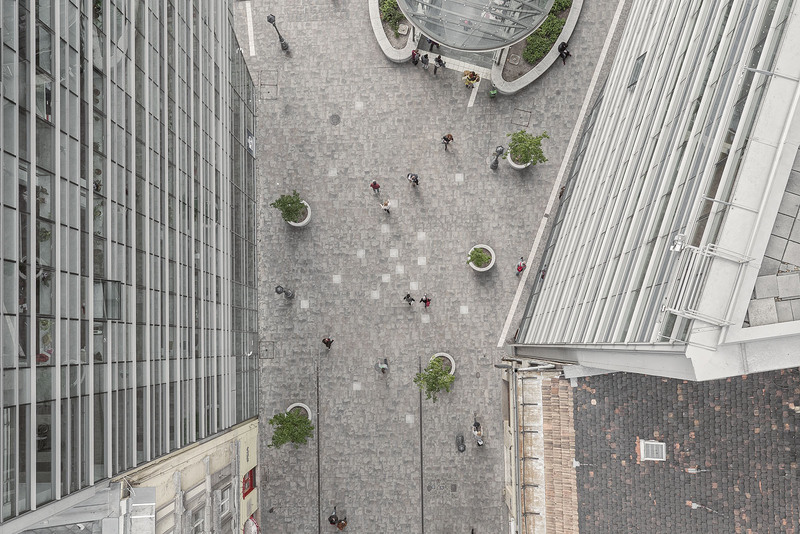 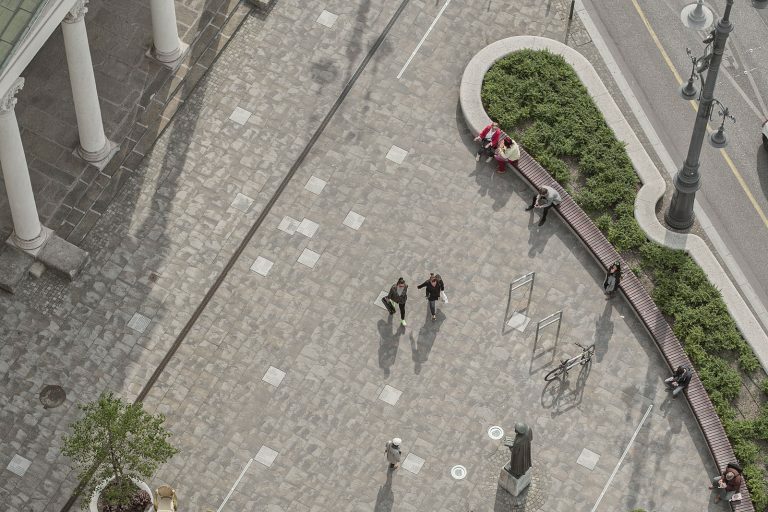 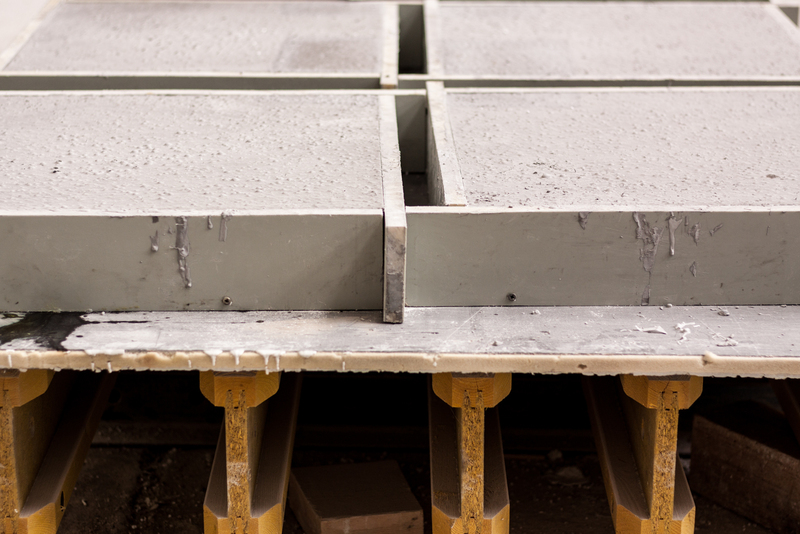 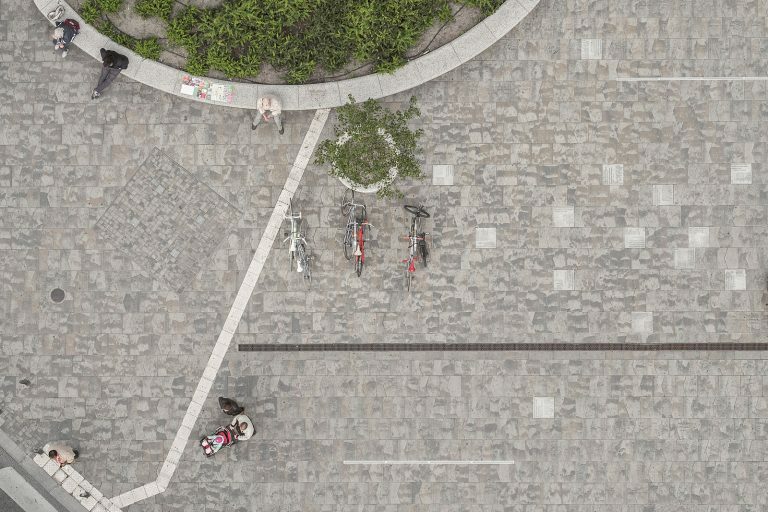 In order to illustrate the scope of this influence, the designers decided to remove 95 stones from the pavement and replace them with custom-manufactured fine concrete blocks. 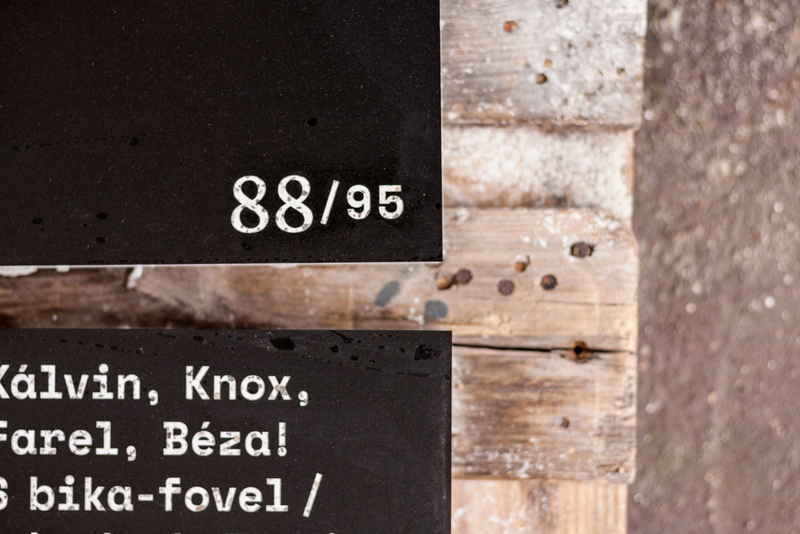 Each slab contains two quotations: one by a significant early reformer (e.g. 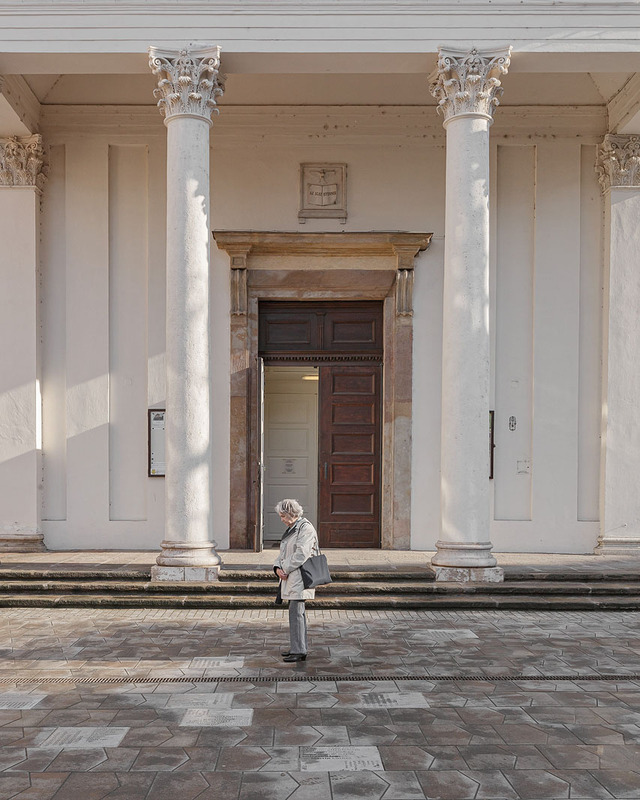 Luther, Calvin, Zwingli, Melanchthon et al. 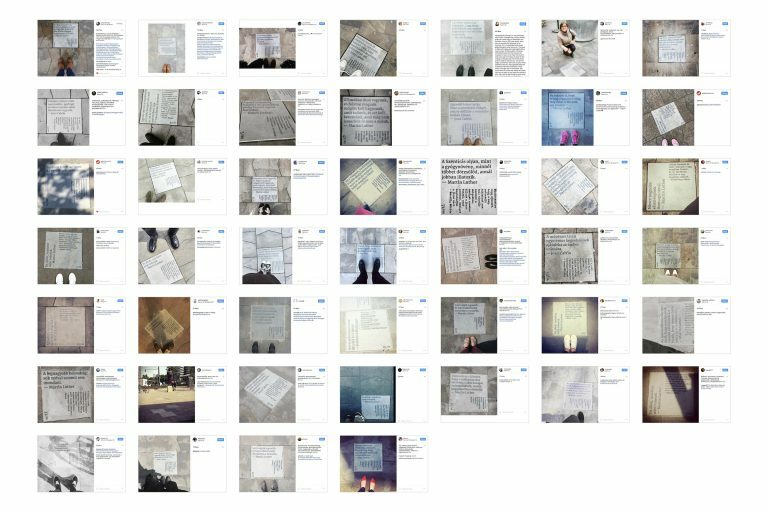 ), and one by a Hungarian author, connected in one way or another to the Reformation – in case of the latter, the aim was to represent the wealth and diversity of the last 500 years including contemporary writers. 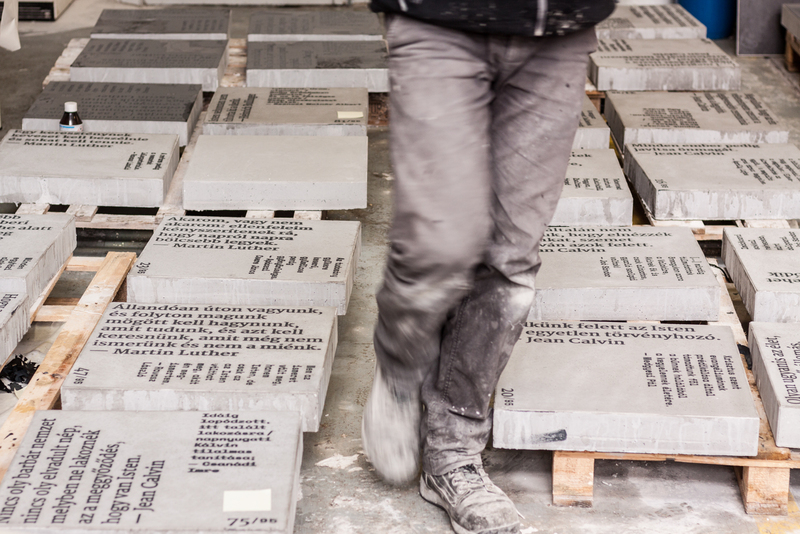 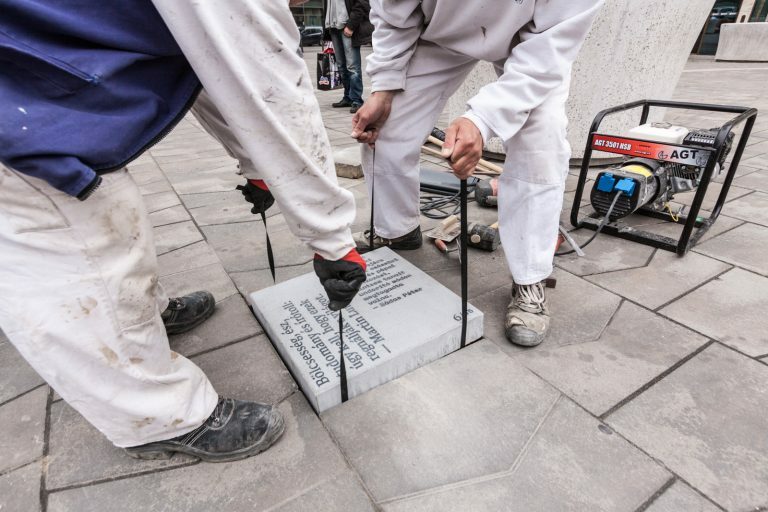 It is an essential component of the installation that replicas of all 95 stones can be adopted via the reform500.hu website throughout the memorial year. 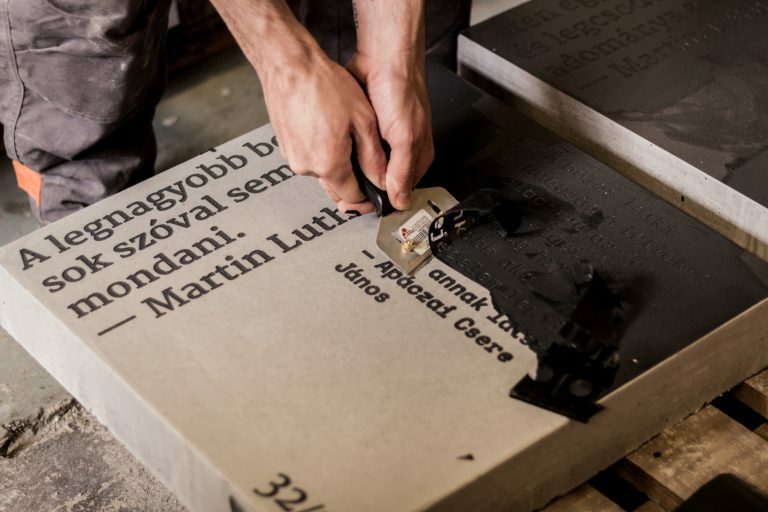 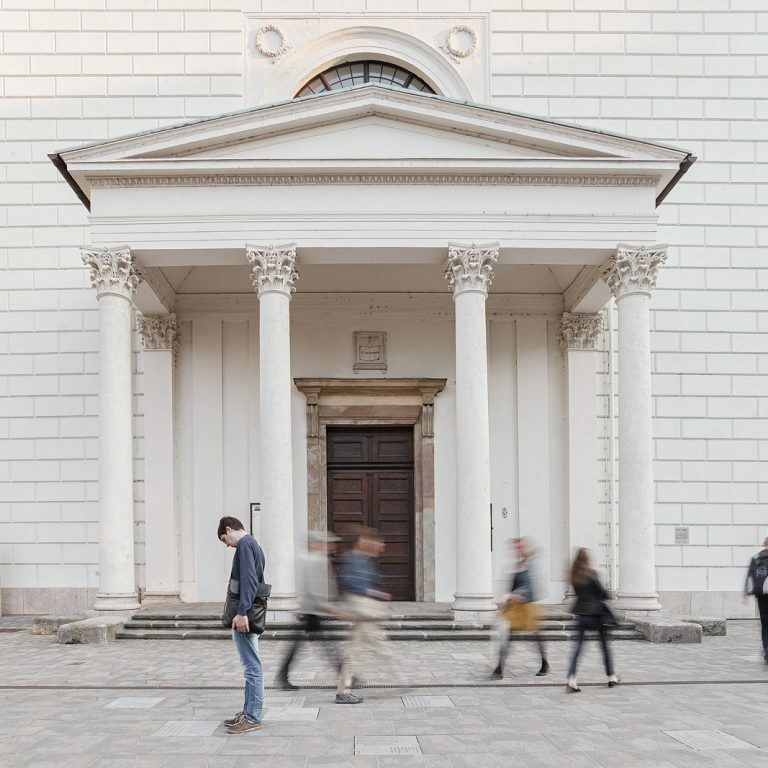 If the stones will find a new home in a public institution or a protestant congregation, the extension of the installation to the entire Hungarian linguistic community will be complete, and a secondary memorial will be born, celebrating both the Reformation and the memorial year.